Wednesday 30th April 2014 – 7.45pm – Suzie Fothergill. A child pedestrian received emergency medical treatment from ambulance crews following a road traffic collision in Staffordshire today. West Midlands Ambulance Service was called the incident in Main Street in Whittington, Lichfield at 4pm this afternoon. An ambulance and the Midlands Air Ambulance from Staffordshire attended the scene. A West Midlands Ambulance Service spokeswoman said: “Crews were called to a road traffic collision involving a pedestrian and a car. “On arrival at the scene a 12 year old boy was found on the floor after he had reportedly gone underneath the wheels of the vehicle. The pedestrian was treated at the scene for a potential pelvic injury. The boy was immobilised and given pain relief before being conveyed, via land ambulance, to Birmingham Children’s Hospital. “A Critical Care Paramedic from the air ambulance travelled on board the land ambulance with the crew continuing to provide medical treatment to the casualty whilst en route to hospital. Wednesday 30th April 2014 – 5.00pm – Suzie Fothergill. Four people have been treated by ambulance crews following a road traffic collision in Alcester today. West Midlands Ambulance Service was called to the incident on the A46 in Redhill shortly after 1.55pm this afternoon. Three ambulances, a rapid response vehicle and an ambulance officer were sent to the scene. The police and fire service were also in attendance. A West Midlands Ambulance Service spokeswoman said: “On arrival at the scene crews found a mini bus and two cars that had been in collision. “The driver of the mini bus, a man, was trapped in the vehicle for a period of time. Ambulance crews worked closely with firefighters to safely extricate the man from the vehicle. Once freed, the casualty was treated for a knee injury and taken to Warwick hospital. “Two occupants had been travelling in one of the cars when the collision happened. The driver of the car, a man believed to be in his 60’s, was treated at the scene for an arm injury. The passenger of the vehicle, a woman of a similar age, was treated for a suspected fractured sternum. Both occupants were conveyed to Warwick Hospital for further assessment and treatment. Wednesday 30th April 2014 – 2.00pm – Suzie Fothergill. A road in Coventry had to be closed off today whilst ambulance crews treated two people who had been involved in a road traffic collision. West Midlands Ambulance Service was called to Sky Blue Way, St. Michaels in Coventry shortly after 11.20am this morning. An ambulance and a Paramedic Area Support Officer in a rapid response vehicle were dispatched to the scene. A West Midlands Ambulance Service spokeswoman said: “Crews arrived on scene to find a car and a pedestrian that had been in collision. “The pedestrian, an elderly man, was treated at the scene for a head injury. Due to the nature of the incident, the man was fully immobilised and conveyed to University Hospital of Coventry and Warwickshire. Want to know a bit more about some of the technology that we use to help us get to you quickly? If today’s episode of ‘First Time on the Frontline’ doesn’t make you think, we’re not sure what will. It’s a really good example of the wide range of challenges that our staff face every single day. Have a look at the case with Parkinsons patient Alan along with his wide Joyce and Downs Syndrome daughter Karen; it really is heart wrenching. The good news is that Julie is able to help not only Alan, but the whole family as well. Did you manage to catch episode 2 of First Time on the Frontline? If not, here’s a link to the programme. Watch Kelly dealing with two potentially serious RTCs including the dramatic helmet camera footage of a collision between a van and a motorcycle. And don’t forget, First Time on the Frontline is back on your screens, tomorrow morning at 11.30am on BBC 1. Monday 28th April 2014 – 11.00pm – Murray MacGregor. Ambulance bosses are warning of the dangers of fires after a Birmingham man suffered burns that will almost certainly require surgery. The incident happened in the New Oscott area at around 5.25pm on Monday afternoon. An ambulance, a rapid response vehicle with a paramedic and a BASICS Doctor and the Midlands Air Ambulance from Cosford which carries a trauma doctor were sent to the scene. A West Midlands Ambulance Service spokesman said: “On arrival, the ambulance staff were told that the man, who was in his 20s, had been burning material in an open wood burner outside when he added an accelerant. “Unfortunately, the fuel caused the fire to explode and the man suffered flash burns to his face, neck, shoulders, upper arms, hand and crews were also initially concerned about his airway as he was complaining of a sore throat. “After assessment and treatment at the scene, the man was taken by land ambulance with the BASICS doctor travelling with him to the burns centre at the Queen Elizabeth Hospital, Birmingham for specialist treatment. “There is little doubt that the injuries, whilst serious, could have been considerably worse. “What this incident does do is serve as a very unfortunate reminder to everyone of the dangers of adding any sort of accelerant to garden fires, barbeques and the like. “Every year we see a number of such incidents which have resulted in people suffering life changing injuries. We will not be giving out an exact address for the incident to protect the anonymity of the patient. Monday 28th April 2014 – 1.30pm – Claire Brown. Four paramedics will be hitting the saddle from Saturday when they embark on a charity cycle ride spanning the length of the country. 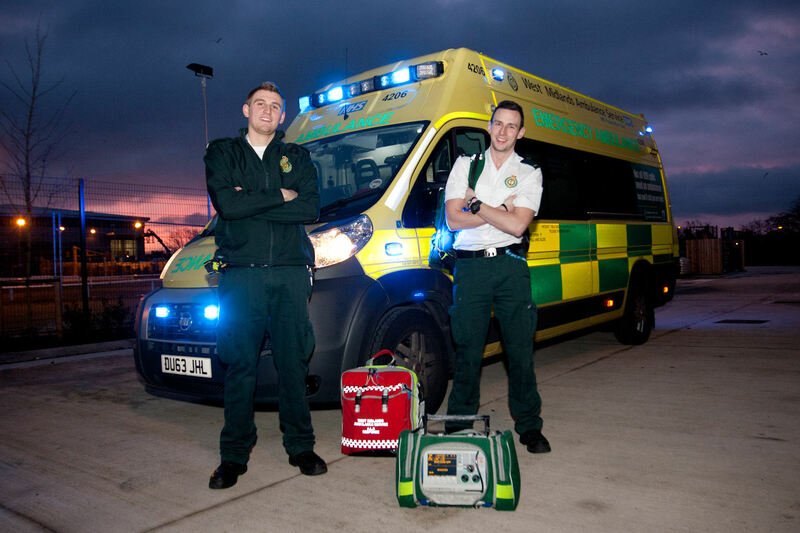 Hazardous Area Response Team (HART) paramedic Dave Bentley and Wolverhampton Paramedic Neil Weaver together with a support crew, HART paramedics Neil Baars and Olly Ayles, are undertaking the challenge to cycle from John O’Groats to Lands Ends in just seven days from Saturday 3rd May. The team hope to raise as much money as possible for Pilgrim Bandits, a charity which supports injured armed forces members. They’ve just reached their £2,000 target but are hopeful that their efforts will raise even more money. Pictured at a fundraising event in Cannock (left to right front row) HART paramedic Dave Bentley, friend Ben Parker, HART paramedic Neil Baars. 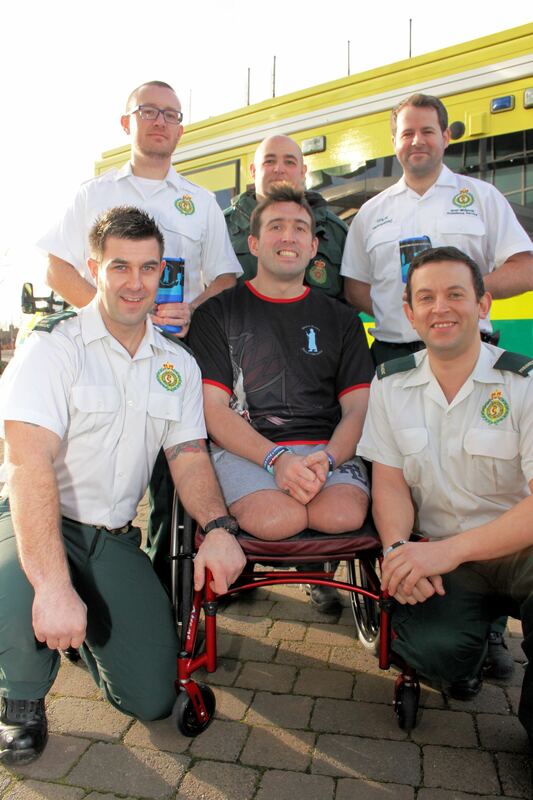 (Back row) Wolverhampton paramedic Neil Weaver with paramedic colleagues Stephen Milward and Chris Harte. A man in his twenties has been taken to hospital following a road traffic collision on the Birmingham New Road in Coseley this morning. West Midlands Ambulance Service was called to the incident at 12.20am. Two ambulances; a paramedic officer; a paramedic in a rapid response car and MERIT attended the scene. 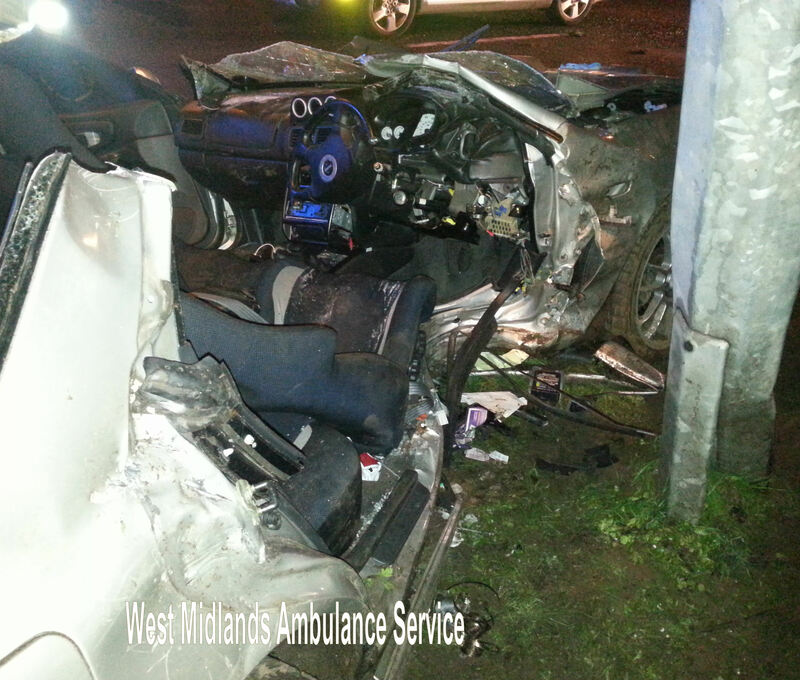 A West Midlands Ambulance Service spokesman said: “Crews responded to a road traffic collision involving two vehicles. “A man in his twenties was trapped for an over an hour. 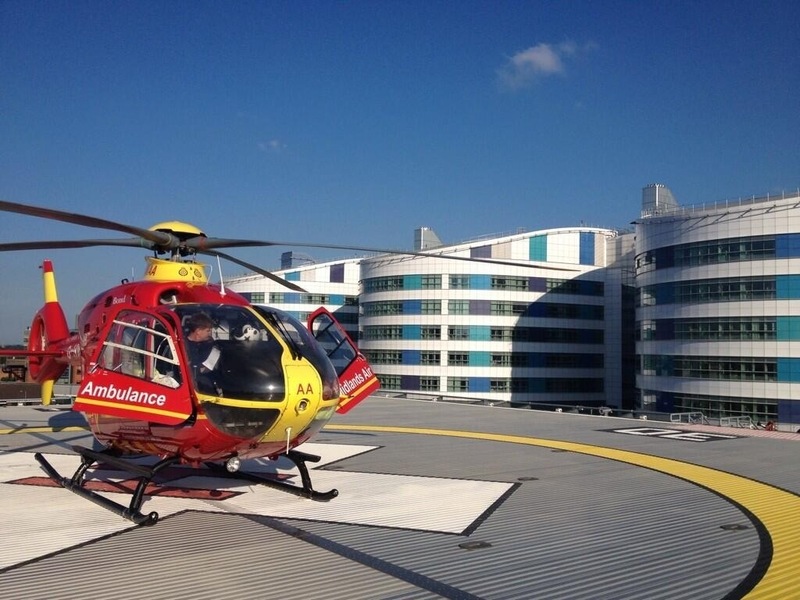 He was treated for arm and pelvic injuries and taken to the Queen Elizabeth Hospital for further treatment. Sunday 27th April 2014 – 9.15pm – Steve Parry. Six people have been taken to hospital following a road traffic incident near Bearwood traffic lights on the Hagley Road in Birmingham this evening. 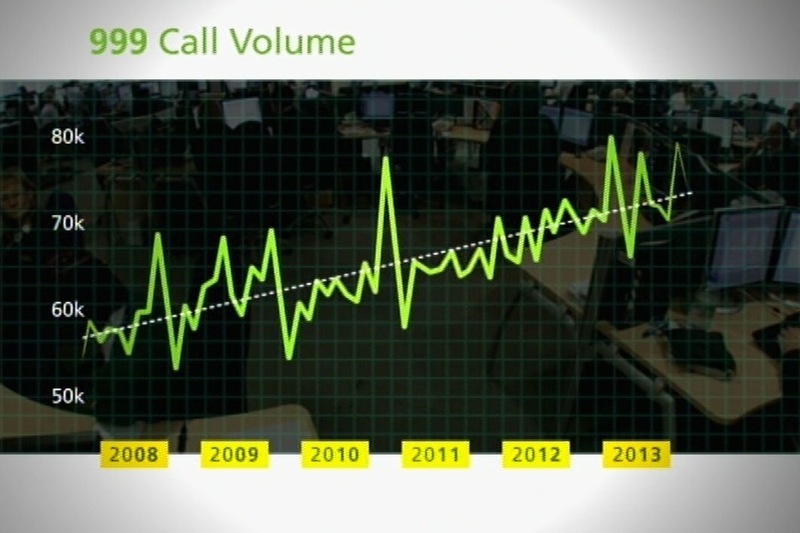 West Midlands Ambulance Service was called just before 8pm. Three ambulances, a paramedic officer and the MERIT team were sent to the scene. “Two females and three children travelling in the same vehicle were treated by ambulance crews. A woman believed to be in her twenties received neck and chest injuries. A second female suffered abdominal pain. An eleven year old boy received a leg injury and two other children appeared to have escaped injury, however, they were also taken to hospital as a precaution. “The patients were all taken to City Hospital. A mountain biker has been taken to hospital after coming off his bike in a rural location near Swynnerton Park, Staffordshire this morning. West Midlands Ambulance Service was called to a wooded location at 11.30am. 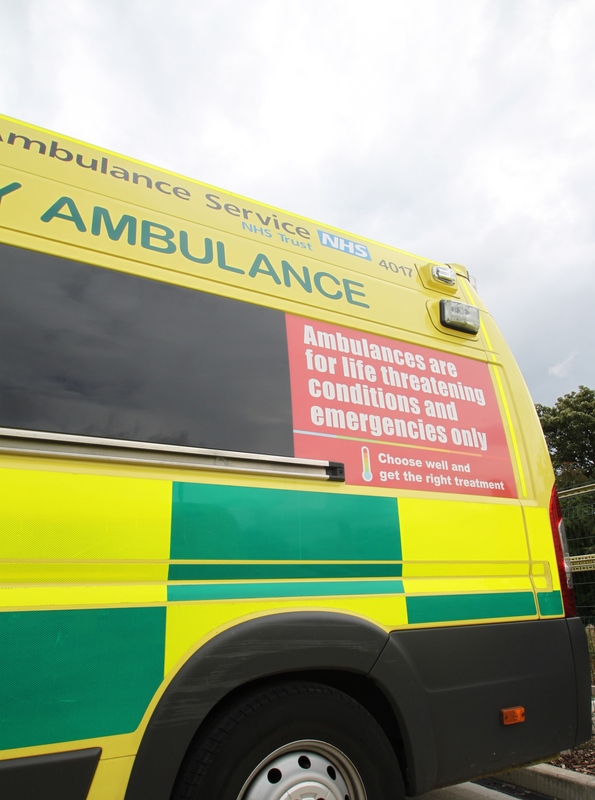 A West Midlands Ambulance Service spokesman said: “Crews responded to an incident involving a cyclist who came off his machine on a downward slope. “A man in his sixties was treated for facial abrasions, together with knee, leg, arm and shoulder injuries. The patient was immobilised with the use of a neck collar and spinal board. Saturday 26th April 2014 – 7am – Steve Parry. A motorist has been taken to hospital after his car collided with a wall in Rowley Regis earlier today. West Midlands Ambulance Service was called to Ross, Rowley Regis at just after 12.20am. An ambulance together with a paramedic officer in a rapid response vehicle, the Hazardous Area Response Team (HART) and a MERIT doctor attended the scene. 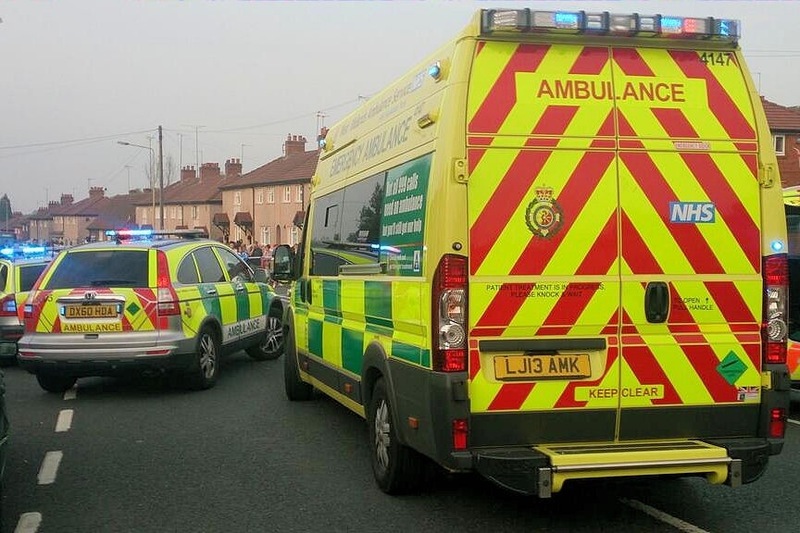 A West Midlands Ambulance Service spokesman said: “Crews treated a man in his forties after his vehicle left the road and collided with a wall. “The patient was treated for serious head and chest injuries. He was anesthetised by a doctor at the scene and fully immobilised before being taken to hospital. “The patient was conveyed to the Queen Elizabeth Hospital for further assessment and treatment. Saturday 26th April 2014 – 6.30am – Steve Parry. 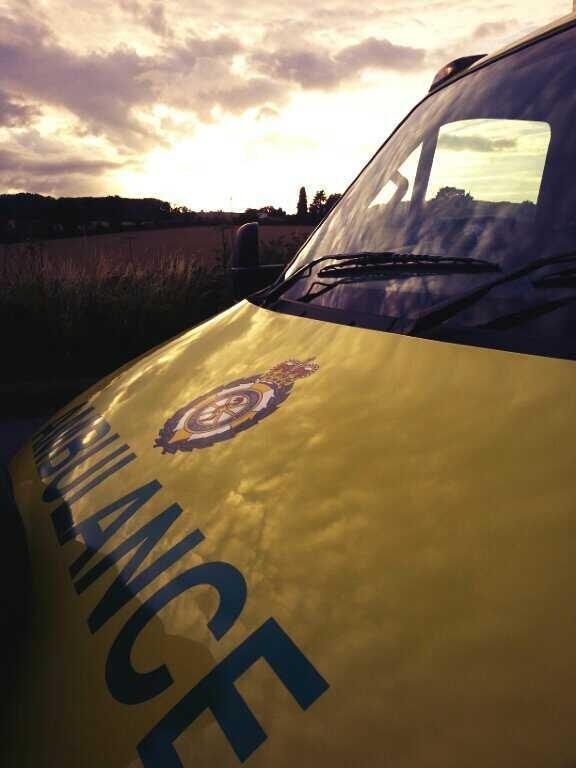 Two people have been taken to hospital following a road traffic collision near Stafford yesterday evening. 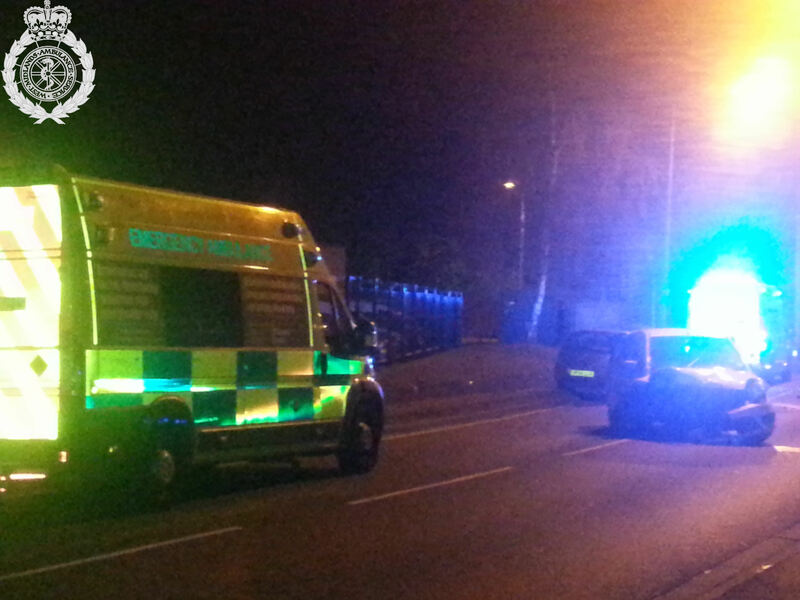 West Midlands Ambulance Service was called to Creswell Grove just off the M6 at 11pm. An ambulance, together with a paramedic officer and a trauma doctor were sent to the scene. A West Midlands Ambulance Service spokesman said: “Crews responded to a road traffic collision involving a car and lamppost. “A woman passenger, believed to be in her twenties, was out of the vehicle when crews arrived. She received minor injuries. “The male driver in his twenties was trapped for an hour. He was treated for leg and arm injuries. Friday 25th April 2014 – 8.30pm – Steve Parry. A pedestrian has been taken to hospital following a road traffic collision in Erdington this evening. The incident occurred in Spring Lane just after 5.40pm. An ambulance together with a paramedic in a rapid response vehicle, a paramedic officer and the Hazardous Area Response Team (HART) attended the scene. “A man in his fifties was treated for serious head and chest injuries. “The patient was immobilised with the use of a neck collar and placed on a spinal board before he was conveyed to the Queen Elizabeth Hospital further assessment and treatment. Friday 25th April 2014 – 4pm – Chris Kowalik. West Midlands Ambulance Service was today at the scene of a large fire in Coventry. The service was called shortly after 12.30pm today to Holbrook Lane. A paramedic area support officer and an ambulance crew did attend but later left the scene as there were no casualties. The Hazardous Area Response Team also attended and remained on standby before being stood down at approx.. 3.20pm. Friday 25th April 2014 – 3pm – Chris Kowalik. West Midlands Ambulance Service is at the scene of a large fire in Coventry. The Hazardous Area Response Team also attended and remains at the scene on standby. 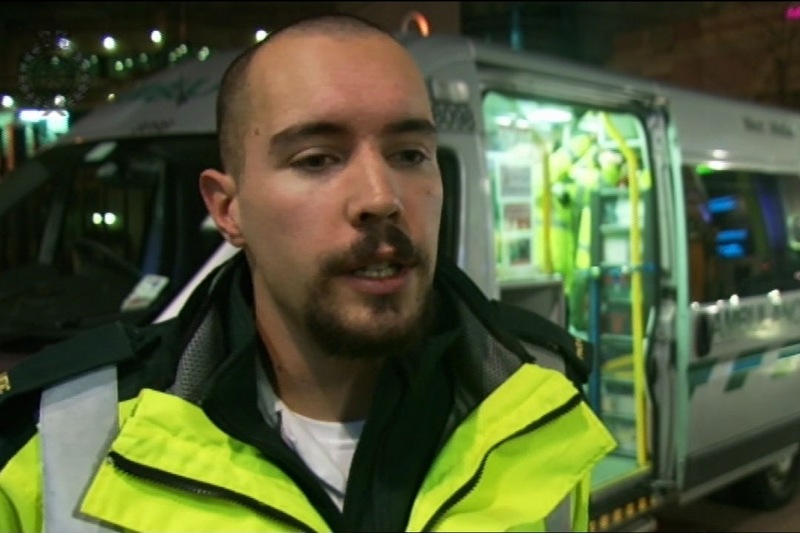 The challenges that face West Midlands Ambulance Service from ‘high volume service users’ who call 999 hundreds of times were highlighted on a BBC documentary programme. Last night’s edition of “Protecting Our Parents” explored the dilemma faced by elderly care services when trying to keep people at home. 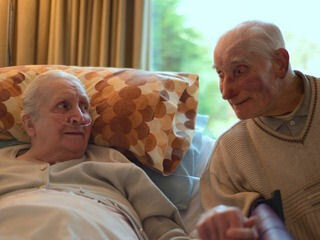 The programme followed Kathleen and Leonard Price who have lived in the same house, in Birmingham, for 50 years. Kathleen is bed-bound and receives Social Services’ maximum support of four visits a day by carers. Friday 25th April 2014 – 2.15pm – Chris Kowalik. 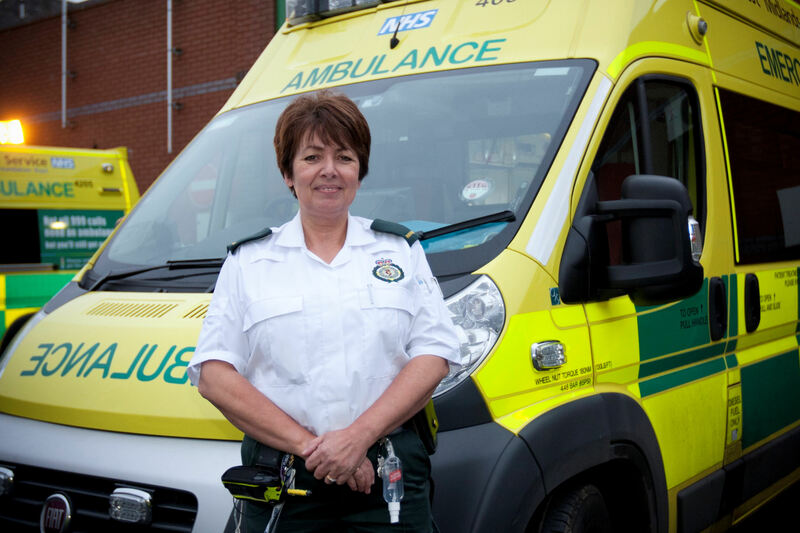 On Saturday 17th May, a Community First Responder from Shropshire will swap her red overalls for black formalwear as she takes part in a major concert. 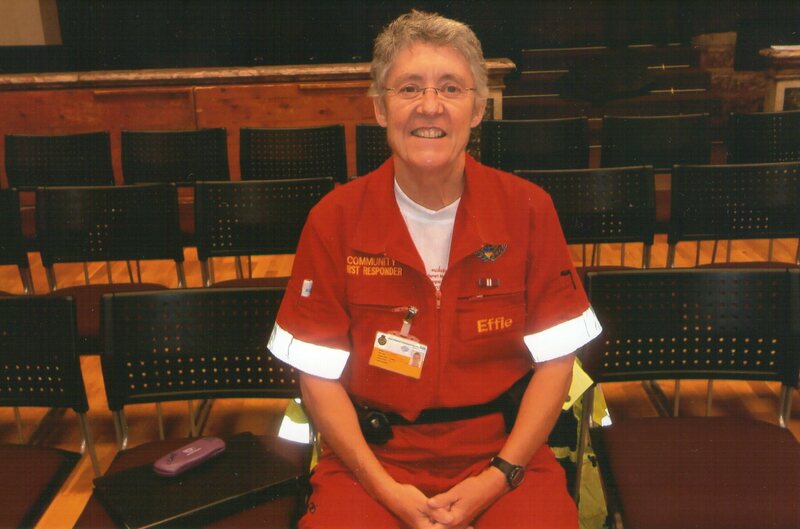 Effie Cadwallader, a volunteer from St. Martins will join the Oswestry chamber choir Cantiones, the Oswestry Sinfonia and the Glyndwr University Community Choir for a performance of Mozart’s ‘Requiem” at 7.30pm on Saturday 17th May at Holy Trinity Church, Roft Street, Oswestry. Effie, a member of the Royal Liverpool Philharmonic Choir, will be the soprano soloist. She will also pick up her viola to join the orchestra of which she is also a member for other works in the programme. Community First Responders are volunteers trained by West Midlands Ambulance Service to a nationally recognised level in a variety of assessments and procedures including basic life support and defibrillation. They may be called upon by the ambulance service to attend a medical incident nearby while an emergency ambulance in en-route. Friday 25th April 2014 – 1.20pm – Chris Kowalik. A paramedic and her healthcare consultant husband have been instrumental in getting a defibrillator into the Shropshire village they had just moved into and teaching people how to use it. Paramedic Jo Mitton-Gore and her husband Daniel recently moved into Ratlinghope where fundraising had already begun for the lifesaving device. The need for it was highlighted by medical incidents in the area which is a popular attraction for walkers and mountain-bikers. Jo said: “The local community were already raising money for it so when we moved into the village we said we could help in getting one. Daniel Gore added: “It is fantastic that local people within the community have come forward and are willing to train and be called upon should the need arise. Being able to get a defibrillator to a patient much more quickly will really benefit patients”. 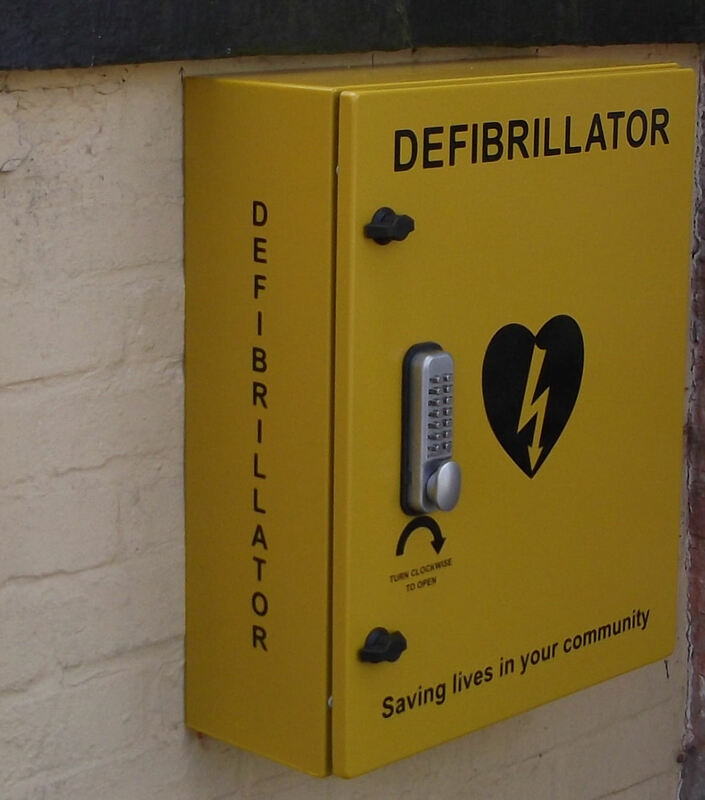 A defibrillator is a device that could restart the heart of someone who suffers a cardiac arrest. Supported by West Midlands Ambulance Service, 15 villagers were trained in its use and in delivering CPR with more to follow. 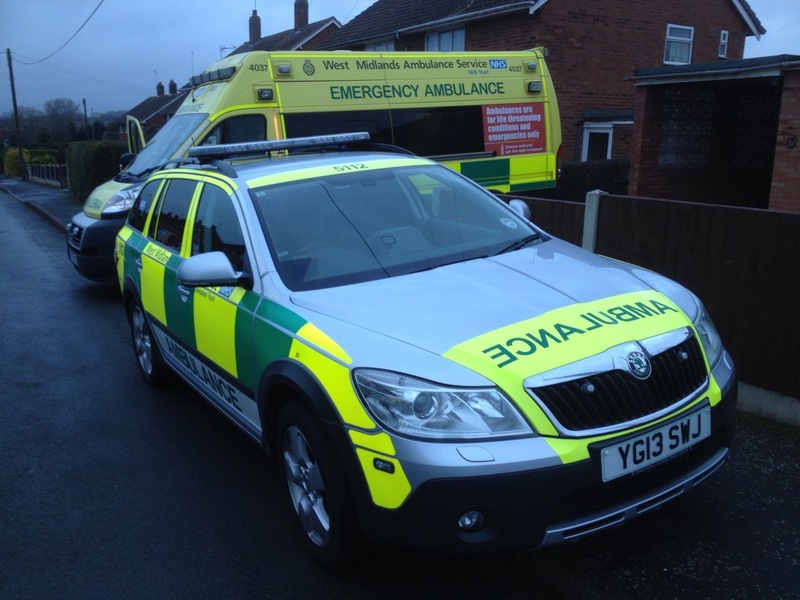 In the near future, the device will go ‘live’ and be registered with West Midlands Ambulance Service’s control rooms. In the event of a cardiac arrest in the area, the caller to 999 will be given instructions on how to access the device. A “cardiac arrest” is not a “heart attack”. Friday 25th April 2014 – 1.05pm – Chris Kowalik. Volunteers in Shropshire who are teaching basic lifesaving skills to the public are looking forward to the day they train their thousandth person. In January 2013, ‘Heartstart Shropshire CFR’, supported by West Midlands Ambulance Service and the British Heart Foundation, set out to teach as many people in the county as possible. Its inaugural course run by West Midlands Ambulance Service’s Community Response Manager Cliff Medlicott was at Cheswardine Primary School attended over two sessions by a total of 28 adults and nine Year Six pupils. Since then, the group has grown with more volunteers having been trained to become trainers themselves. There are now more than thirty active volunteers. The group also appointed its own co-ordinator last year; Andy Davies who is organising the training in the north of the county. He is also a Community First Responder. Looking after the south of the county is Eddie Jones who was instrumental in setting up the Clun Valley AED (Automated External Defibrillator) scheme, helping parishes and villages buy a defibrillator and training people in their use. ‘Heartstart Shropshire CFR’ will train anyone who wants to learn how to try to save someone who suffers a cardiac arrest – when the heart stops beating and the person stops breathing. It involves learning how to spot the need to deliver CPR, practising chest compressions and using a defibrillator. Andy spoke at The Corbet School in Baschurch on Friday 4th April where he was delivering the latest in a series of lessons. 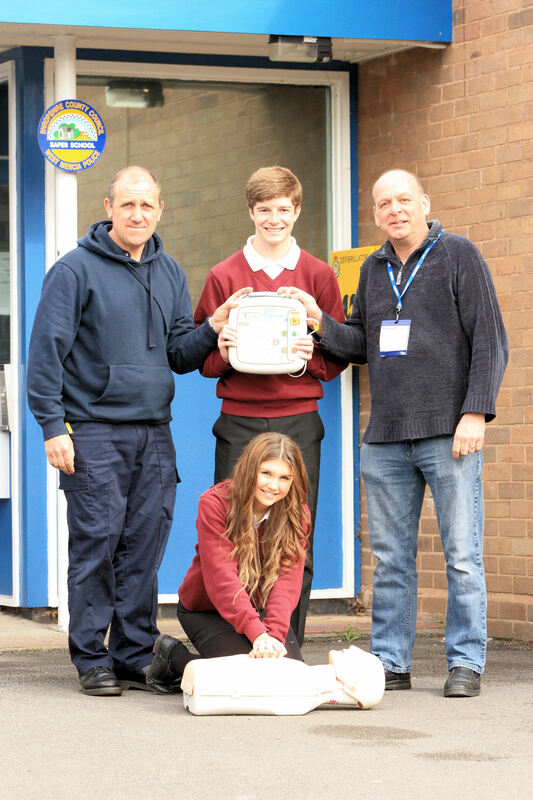 The school is a keen supporter of Heartstart following an incident last year when someone collapsed on the site. In addition to inviting the team to give lessons, it has outside its reception a distinctive yellow wall-mounted cabinet housing a defibrillator. Andy said: “Heartstart Shropshire CFR is a fantastic organisation and it is such an opportunity to get out there and teach them basic life support. There’s no hesitation, there’s no fancy first-aid course, it’s a “nuts-and-bolts” of keeping somebody alive which is what we need to do. The number of members of the public is nearing a thousand. There’ll be a big celebration on hitting the thousand-mark. Friday 25th April 2014 – 11.40am – Murray MacGregor. 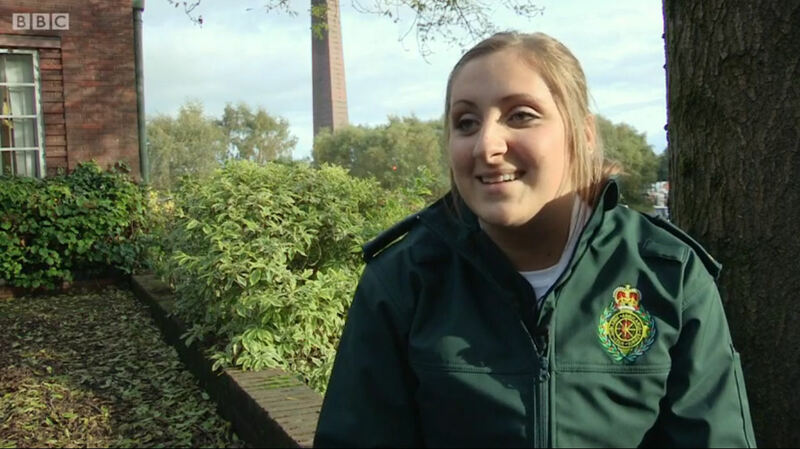 Six of the trust’s newest paramedics are set to become stars of the small screen when they are featured on a new 15 part documentary set to be aired on BBC 1 from Monday (28th April). ‘First Time on the Frontline’ follows the experiences of the next generation of recruits to police, fire, ambulance, RNLI and mountain rescue as they embark on their new careers. The cameras followed newly qualified paramedics from their initial assessments through to their first few shift out on the road. The WMAS group are Sam Dupelssis Grimson, Ben Pallante and Kelly Wilkes who are all based at Erdington Hub in East Birmingham; Maya Black who is at Henrietta Street station in Birmingham; Julie Plante who is based at Dudley Hub; and Warwick Hub based Mark Edwards. 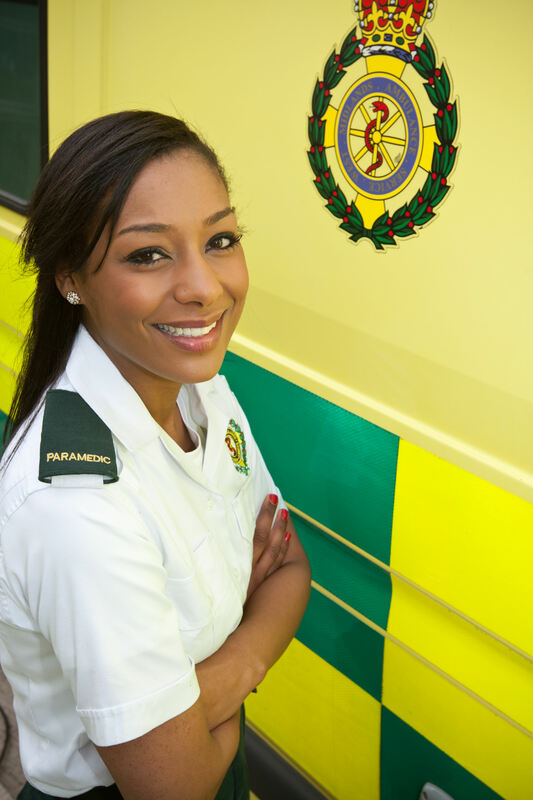 They were among the 65 graduate paramedics that the Trust took on last year (2013-14). 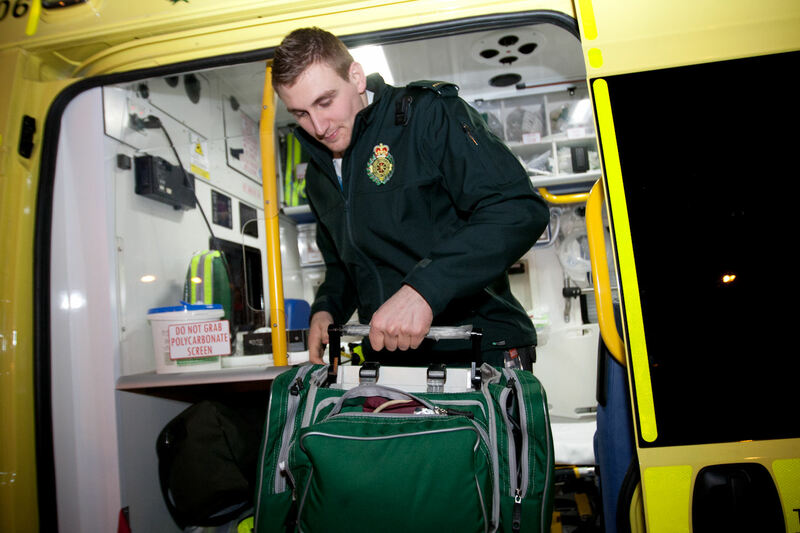 This year the Trust will be looking to recruit another 50 graduate paramedics. 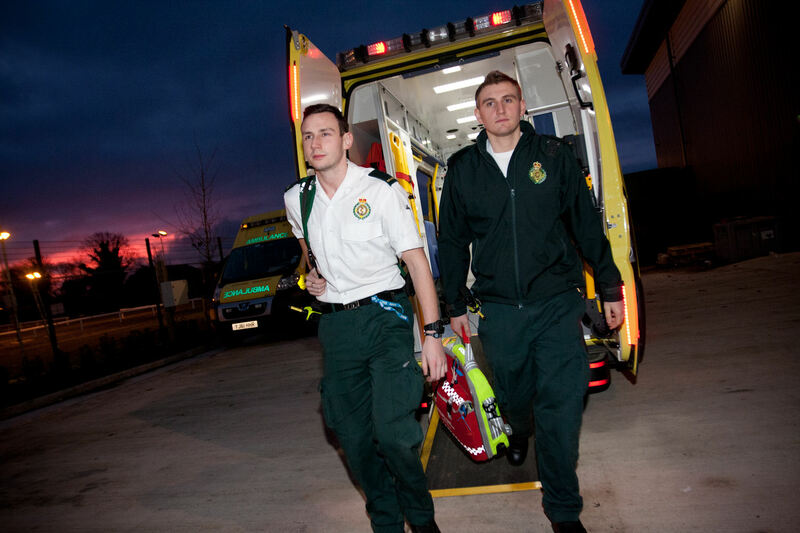 As an organisation, we work very closely with the paramedic programmes at the University of Worcester, Coventry University and Staffordshire University. 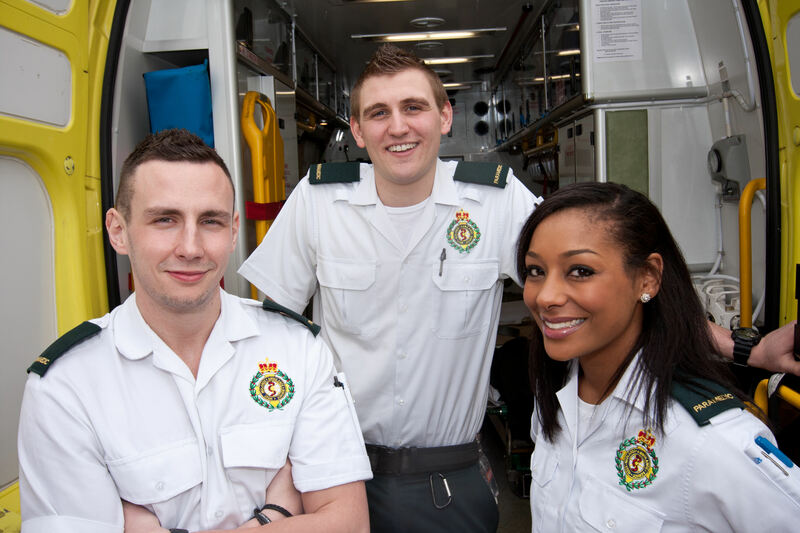 In addition, the Trust took on 160 student paramedics last year and is in the process of recruiting 250 this year. They undertake a 2½ year programme which includes their university based course. •	Episode 1: Sam is called out to every parent’s worst nightmare. Recruitment Advisor, Louise Harris, who is seen in the programmes giving the candidates the good news about their new jobs, said: “We were delighted to get involved in this programme because we wanted to show what a fantastic job our staff carry out every single day. 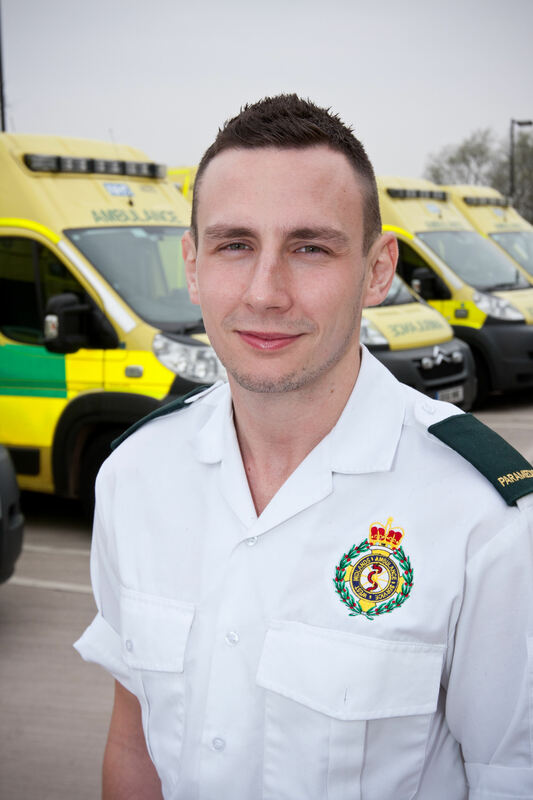 “When you look at even just these six staff, they come from very different backgrounds and that is one of the great things about becoming a paramedic; it doesn’t matter where you come from, it’s what you do as someone who saves lives that matters. “We are very lucky that we get applicants from every part of the region as well as further afield. Every community is represented which is exactly what we want; we want our workforce to represent the people we serve. It may not be New Year and time for a resolution, but lots of people are thinking about their health and wellbeing as summer approaches and thoughts turn to that holiday and not having to wrap ourselves up in multiple layers of clothing. NHS Choices has a range of help and advice available to everyone on issues as wide ranging as fitness, healthy eating and how to lose weight; health advice specific to women, men, children and families; advice on sensible alcohol consumption; giving up smoking; your mental health; and there is even a section on myth busting. So where to start? 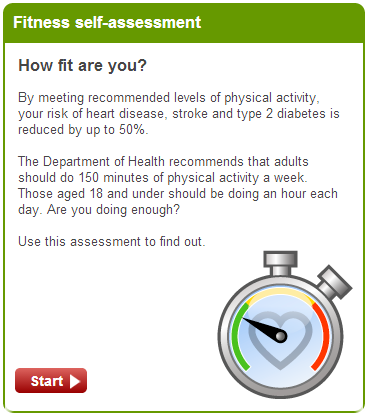 How about looking at whether you think you’re getting enough physical activity? The site has a simple assessment which will help you understand what the recommended levels are and will assess how close you are to meeting them. 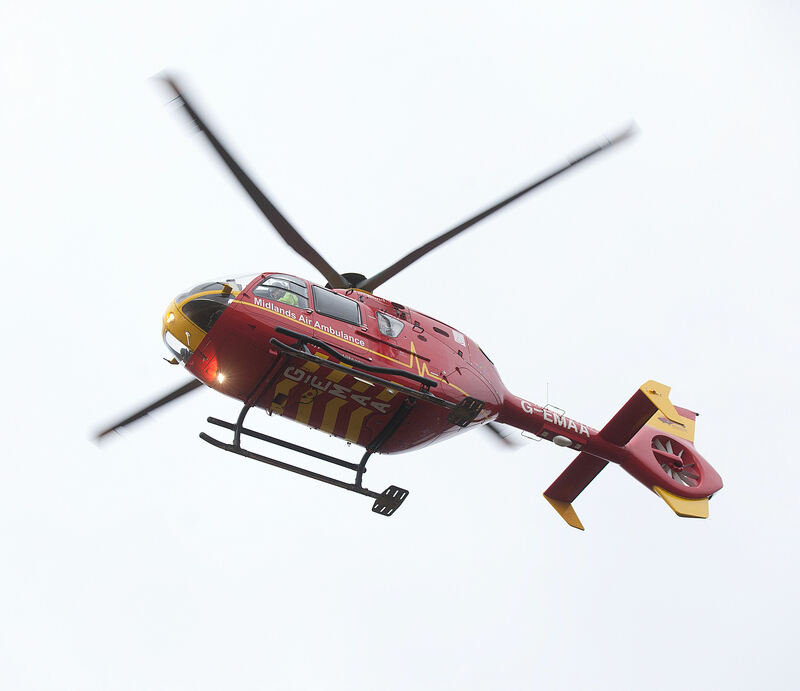 A man has been taken to hospital after falling down a twelve foot hole on waste ground in Darlaston this evening. West Midlands Ambulance Service was called to former industrial premises in Kendrick Road at just after 5.20pm. An ambulance together with a paramedic officer in a rapid response vehicle and the Hazardous Area Response Team (HART) attended the scene. A West Midlands Ambulance Service spokesman said: “Ambulance crews responded to a man who had reportedly fallen down what appears to be a drain hole. “The man, believed to be in his twenties, managed to get himself out of the hole before crews arrived. He was treated for facial and arm lacerations together with a knee injury and a possible fractured leg. 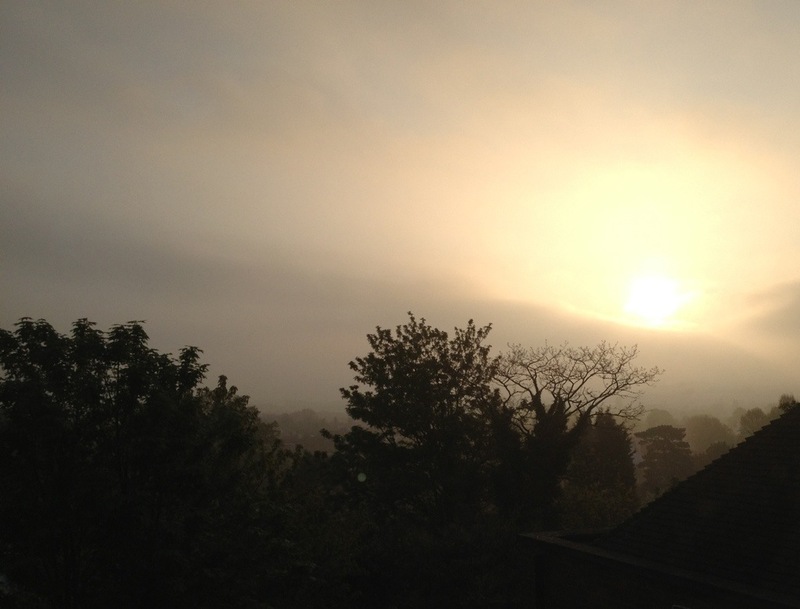 Thursday 24th April 2014 – 8.45am – Murray MacGregor. The driver of a lorry that overturned on the M42 early this morning was helped out through the windscreen of the cab by ambulance staff. The articulated lorry ended up on its nearside next to the central reservation and across lane 3 and 2 between junction 4 and 5 on the northbound carriageway. An ambulance, a rapid response vehicle, a paramedic officer and the MERIT trauma doctor were initially sent to the scene after a number of 999 calls at around 2.00am this morning (Thursday). A West Midlands Ambulance Service spokesman said: “The driver was trapped for a short time. Although he could stand up within the cab, he wasn’t able to get out until firefighters removed the windscreen. “The driver was complaining of back pain and some discomfort in his left leg. Thursday 24th April 2014 – 7.30pm – Steve Parry. 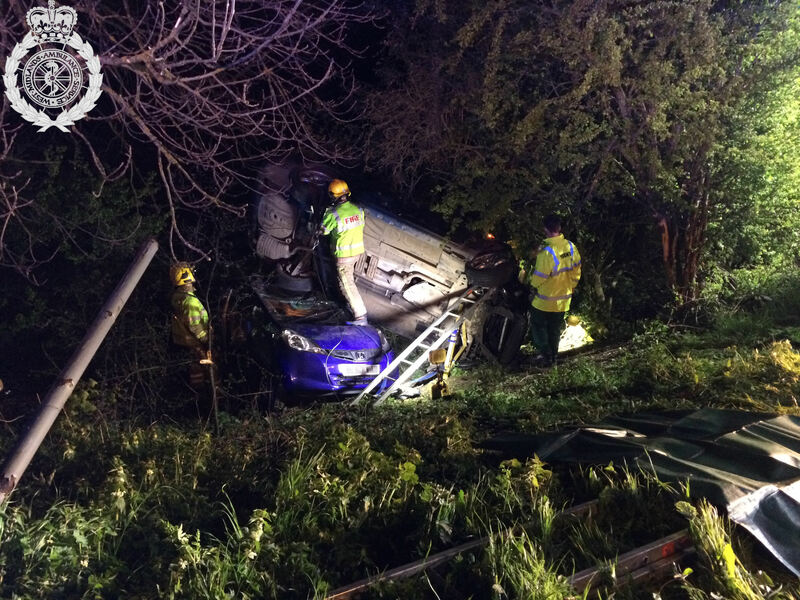 A total of six people have been treated following two separate road traffic collisions in the county overnight. Two men and two women in their late teens and early twenties were travelling in a car that left the road, went through a hedge and down an embankment in Yarnfield Lane, Stone at 8pm last night. Three of the patients were treated at the scene and later released. 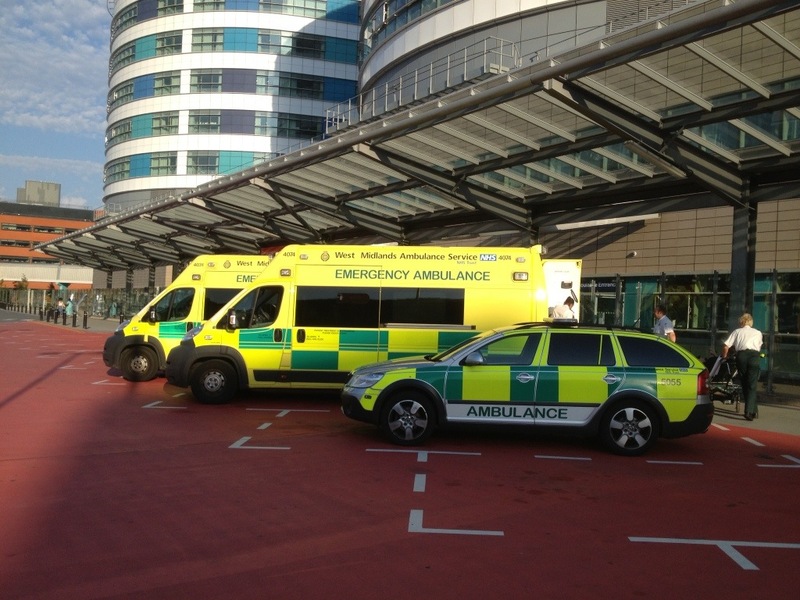 One woman was taken to University Hospital of North Staffordshire with a hand injury. Two ambulances, a paramedic officer, paramedic in a rapid response car and a BASICS doctor attend the scene. 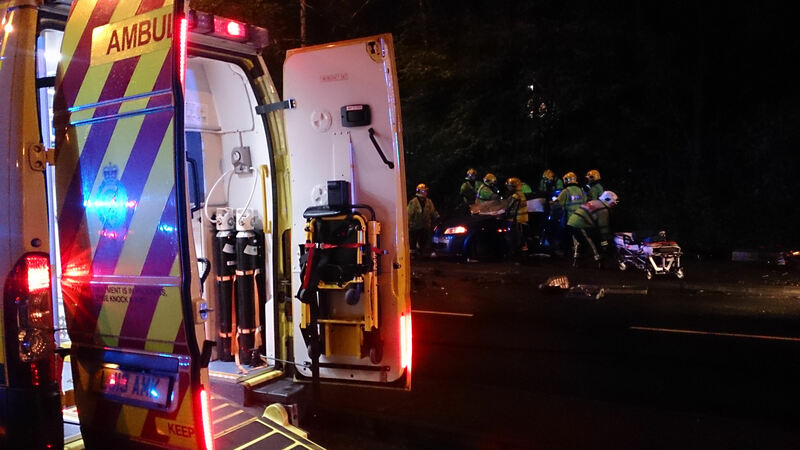 West Midlands Ambulance Service also attended an incident on the A38 Lichfield Road, Barton under Needwood at just after 11.30 pm..
Three ambulances, a paramedic officer and BASICS doctor were dispatched to the scene. A West Midlands Ambulance Service spokesman said: “On arrival, crews discovered a car had overturned sustaining significant damage. Don’t know what it’s like where you are, but here at our headquarters it’s pretty foggy. Please allow extra time for your journey to work. Wednesday 23rd April 2014 – 4.35pm – Murray MacGregor. 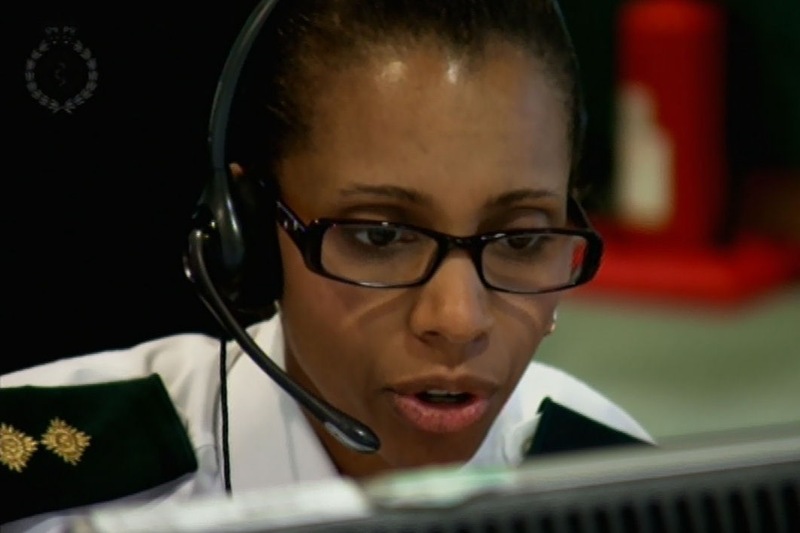 The challenges that face West Midlands Ambulance Service from ‘high volume service users’ who call 999 literally hundreds of times are laid bare on television tomorrow night, Thursday. The Trust was one of a number of organisations that has been working on a series for BBC Two called ‘Protecting Our Parents’. Episode two on 24th April, ‘Who Decides?’, explores the dilemma faced by elderly care services when trying to keep people at home. It follows Kathleen and Leonard Price who have lived in the same house, in Birmingham, for 50 years. Kathleen is bed-bound and receives Social Services’ maximum support of four visits a day by carers. But in just three months, she’s called 999 over 150 times. The couple want to stay at home but Kathleen’s care package isn’t meeting her needs. She would like 24-hour care at home, but can’t afford to pay for it. 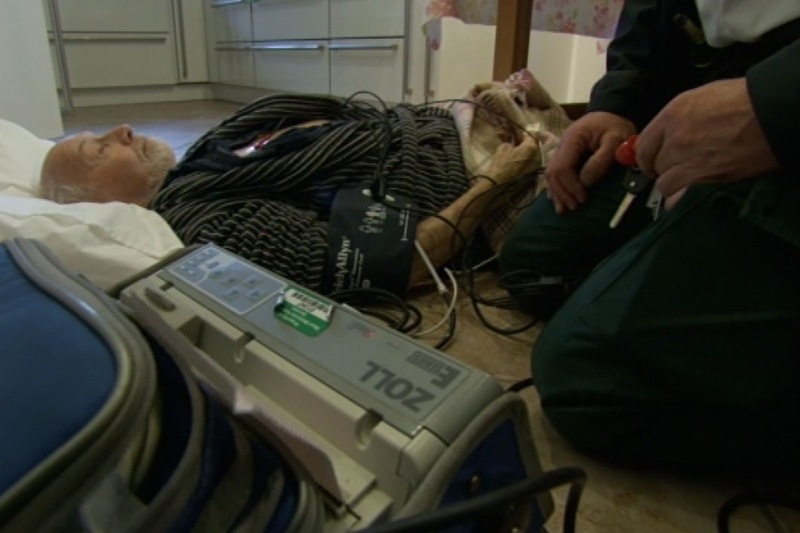 WMAS Head of Clinical Practice, Rob Cole, said: “The programme makes uncomfortable viewing as we get a real insight into the difficulties that patients such as Kathleen and Leonard face. 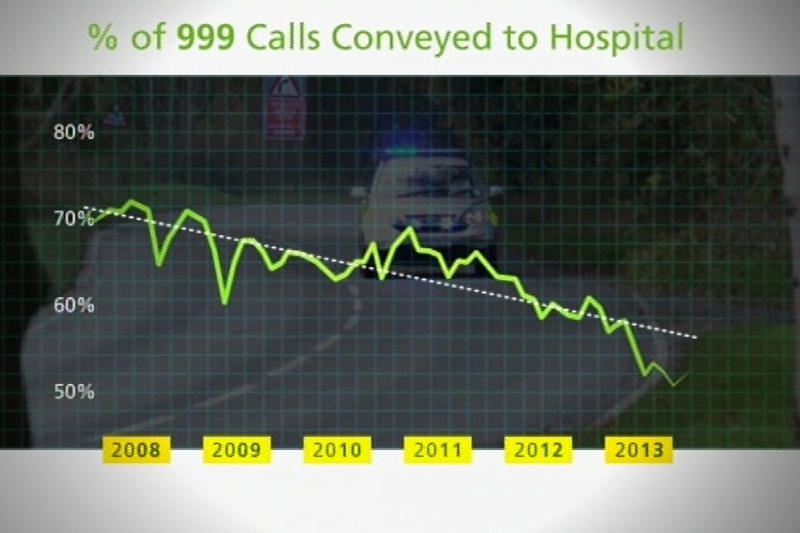 We have worked very hard with other agencies to try and ensure that the couple have alternatives to dialling 999. “Unfortunately, their case is not such an unusual one. As an organisation we are increasingly trying to find innovative solutions for other people in similar situations. The programme airs on Thursdays at 9pm on BBC Two. Wednesday 23rd April 2014 – 3.30pm – Claire Brown. A local member of parliament joined a paramedic, police officer and mental health nurse earlier this month to see how a pilot mental health car is helping patients. James Morris MP accompanied the Birmingham based team on Friday 11th April to attend an incident to see, first-hand, the types of cases they attend and how they help mental health patients. The scheme, launched in January, is a new pilot between West Midlands Ambulance Service, West Midlands Police and Birmingham and Solihull Mental Health Trust. Photograph courtesy of MP James Morris office. 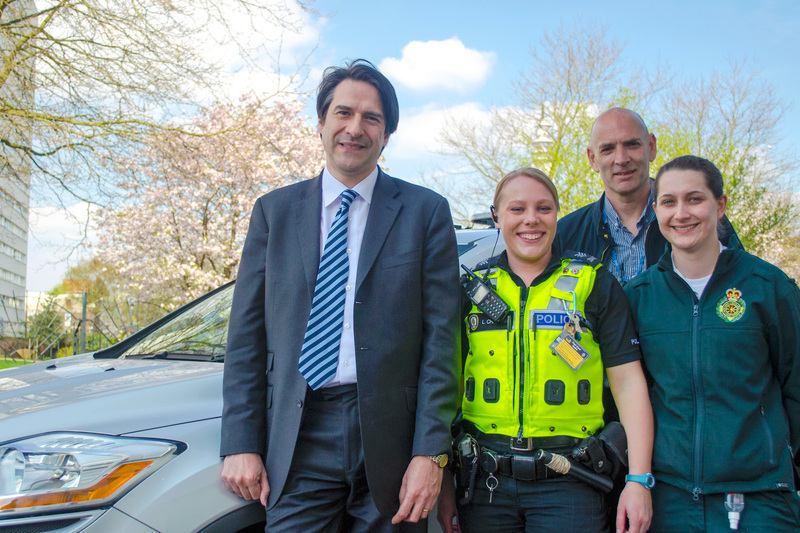 Pictured (left to right): MP James Morris, police officer, mental health nurse and Coventry Paramedic Emma Kitson. Wednesday 23rd April 2014 – 3.30pm – Suzie Fothergill. A farmer has been treated by ambulance crews following an incident in Worcestershire today. West Midlands Ambulance Service was called to the incident at a farm near to Malvern Wells shortly after 11.35am this morning. An ambulance, a critical care paramedic in a rapid response vehicle and a community first responder were dispatched to the scene. A West Midlands Ambulance Service spokeswoman said: “Ambulance crews were called to reports of a man that had become injured when a ramp from an animal transporter lorry fell on to him. “The man, believed to have been in his 30’s, was reportedly knocked to the ground but had managed to get out from underneath the ramp prior to the arrival of the crews. Wednesday 23rd April 2014 – 12.15pm – Suzie Fothergill. A woman has had to be cut free from her car after being trapped for approximately an hour following a road traffic collision during rush hour this morning. West Midlands Ambulance Service was called to the incident on the slip road at junction 15 of the M40 towards the Longbridge Roundabout shortly before 7.45am this morning. An ambulance, a rapid response vehicle and a paramedic area support officer were dispatched to the scene. A West Midlands Ambulance Service spokeswoman said: “Ambulance crews were called to a collision involving a van and two cars. “The driver of the van, which was found towards the rear of the collision, was assessed at the scene. Fortunately, he hadn’t sustained any serious injuries and was discharged at the scene. “The male driver of a car which was found towards the front of the three vehicles was also assessed and discharged by crews at the scene. Wednesday 23rd April 2014 – 12.10pm – Murray MacGregor. “Because our call numbers have effectively doubled in recent years, particularly the non-life threatening ones, we have had to become far more than a traditional ‘scoop and run’ service taking all of our patients to hospital. We have developed into a service that increasingly takes healthcare to the patient rather than the patient to healthcare. “As an organisation we have undergone a massive change so that we can provide ever higher standards of clinical care with more complex treatments whilst continuing to keep up with the ever increasing demand. “To do so, we have had to undertake a fundamental review of the way that we operate so that we put the maximum amount of our budget into frontline care. This has involved providing additional training to existing staff while recruiting hundreds of new paramedics. In addition we have been re-organising our estate so that we can get our vehicles closer to the people that need them. “The publication of the Keogh Review into ‘Urgent and Emergency Care’ in the UK backed our views on the way that we can help the people of the West Midlands and provide an increasingly high quality service to patients in all sections of the NHS. “We are working more closely than ever with partners in the other emergency services, different sections of the NHS and community groups. These include GPs, mental health workers, trade associations and local community groups. Together we can ensure patients remain at the forefront of everything that we do. The film has been produced in a number of additional languages as we recognise that we need to work with the many different communities within the West Midlands. Copies of each version are available on our website: http://www.wmas.nhs.uk Follow the link from the front page. Tuesday 22nd April 2014 – 8pm – Steve Parry. West Midlands Ambulance Service can confirm it attended an incident at Mereside, Ellesmere Lake in North Shropshire this evening. A 999 call was received at 6.30pm. An ambulance; a paramedic officer; paramedic in a rapid response car; community first responder and the Midlands Air Ambulance based in Staffordshire attended the scene. A West Midlands Ambulance Service spokesman said: “Crews attended an incident involving a triathlon competitor reportedly in difficulty in the water. Tuesday 22nd April 2014 – 12.10pm – Murray MacGregor. Demand on the ambulance service in the West Midlands over the Easter weekend was almost as changeable as the weather conditions. Localised increases of demand that ranged from almost 12% up on last year (Staffordshire) to drops of over 12% in other areas (West Mercia) ensured crews had a busy weekend. Over the four days of the Easter weekend (Good Friday – Easter Monday), demand across the West Midlands was up by 1.7% compared to last year (2013). Over the four days, the Trust answered 10,821 999 calls. However, what was noticeable was the unpredictability of the demand. A West Midlands Ambulance Service spokesman said: “We put a huge amount of planning into ensuring that we had the right number of resources on at the right times. The spokesman added: “We ensured we had additional staff working to meet the predicted demand. While many people were enjoying the four day break, our staff were working hard to ensure patients that needed our help got the highest standards of clinical care in often difficult situations. Tuesday, 22nd April 2014 – 2.20pm – Jamie Arrowsmith. 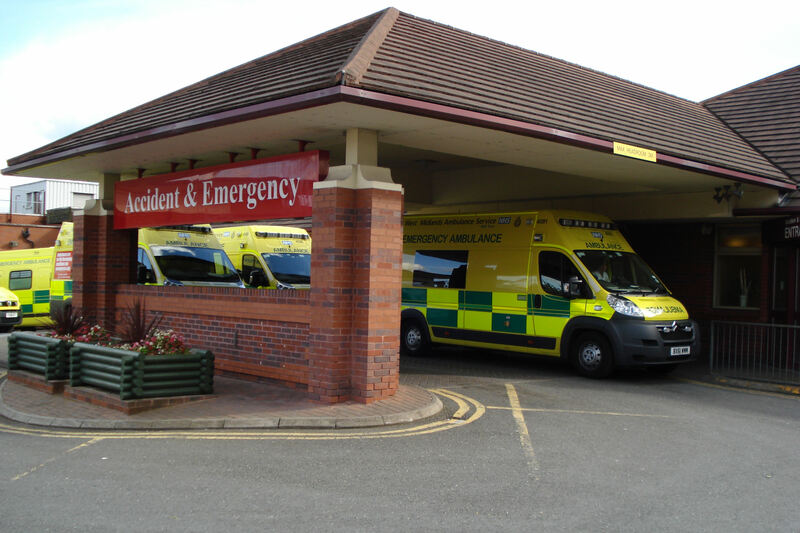 West Midland Ambulance Service (WMAS) has received high praise for the improvements it has made to NHS 111 (West Midlands) from one of the service’s stakeholders. Brendan Young, Patient Representative for West Midlands Clinical Senate, visited the 111 headquarters in Brierley Hill as part of a stakeholder’s event where visitors were briefed on how performance has been improved, given an overview of how the call centre works and had the chance to put questions to senior members of management. 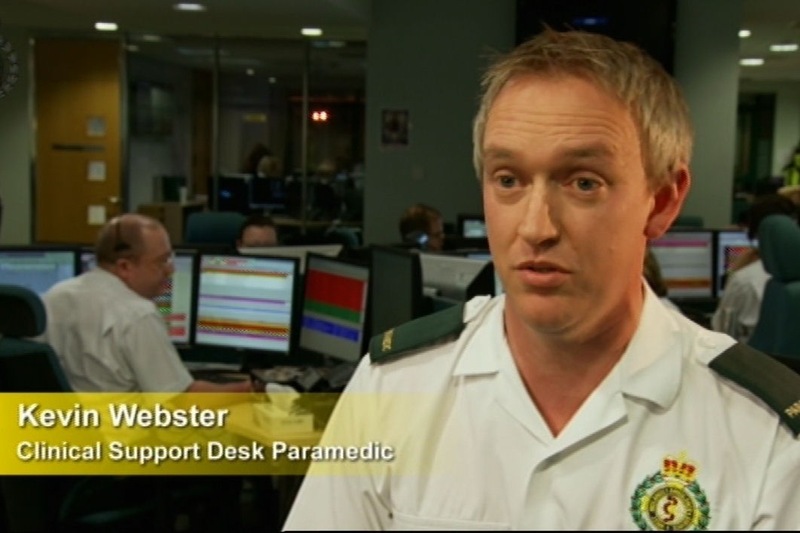 Mr Young admitted that some of the negativity surrounding 111 in its early days, before WMAS stepped in, had left him somewhat sceptical ahead of his visit, but his view was quickly changed when seeing the service in operation under WMAS. “I had reservations based on the bad experiences that had been reported when the service first launched and was concerned that people would not be trained well enough to provide a safe service,” he said. WMAS stepped in to take over the running of the 111 service in November, 2013, when NHS Direct withdrew from the contract. Since then, staff training has been greatly revamped and performance levels have been impressive throughout. Mr Young continued his praise by saying: “I was 100 per cent delighted with what I saw and I don’t think anyone would have left without being impressed. 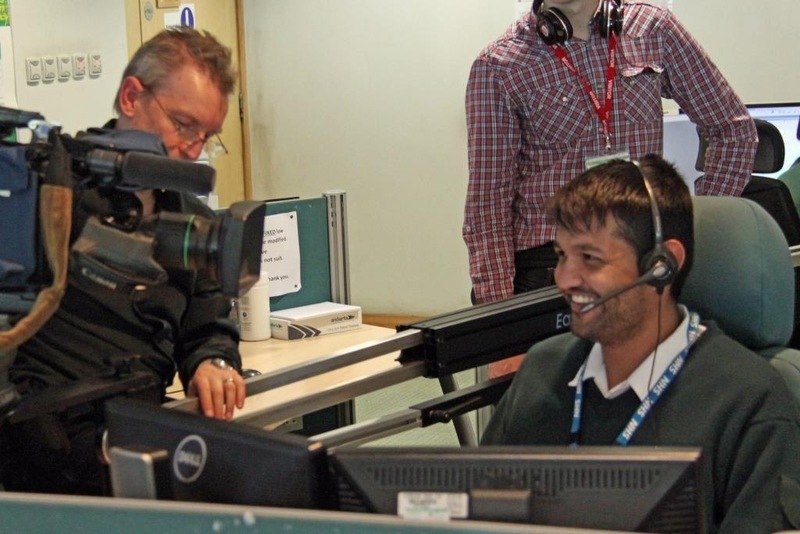 NHS 111 Director Daren Fradgley said: “It is pleasing to know that the efforts we are all putting in to making the service the best it can possibly be are being recognised. 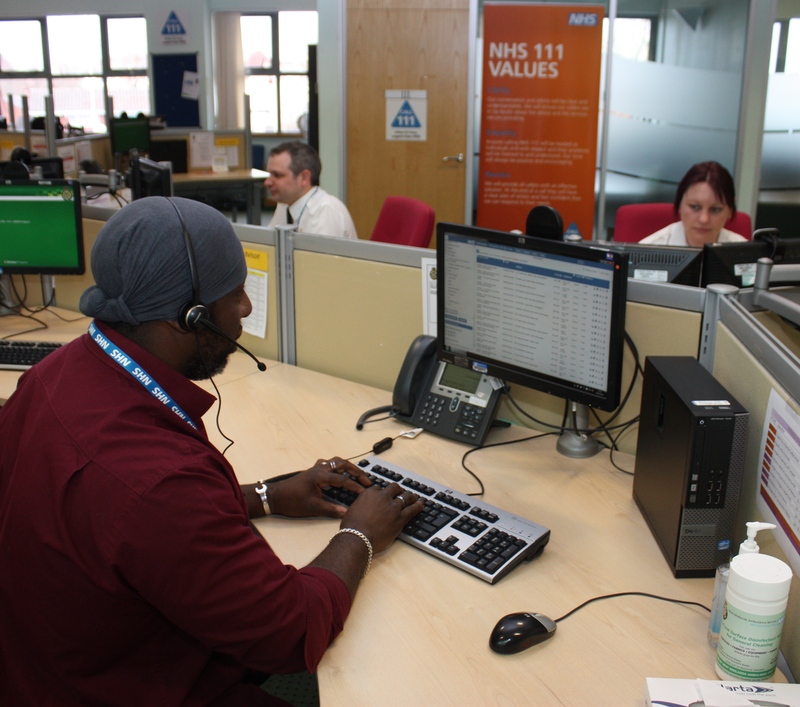 The praise comes on the back of an extremely busy four-day Easter weekend when the Trust received 21,875 calls to the NHS 111 (West Midlands) service. Staff worked hard to ensure all calls were answered quickly and callers received a good service, despite 111 receiving 227 calls an hour on average, equivalent to a call every 15 seconds for four days. Tuesday 22nd April 2014 – 12.20pm – John Hawker. 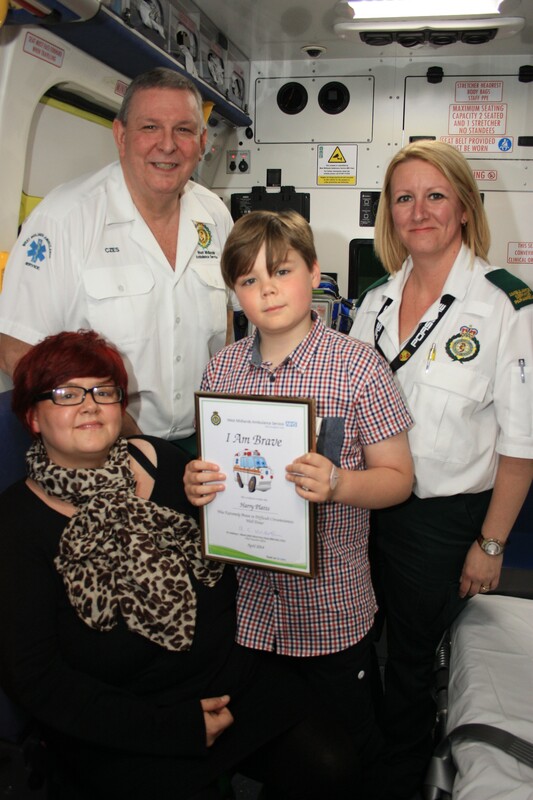 A boy from Coventry, who dialled 999 when his mum collapsed at home in the middle of the night, has been presented with an ambulance service bravery award at the local ambulance hub. Ten year old Harry Platts dialled 999 in December 2013 when his mum, Melissa, collapsed at their home in Longford. Harry sprang into action when he heard his mum downstairs making strange noises at around 3.45am. He quickly comforted his mum whilst calling 999, relaying all the details to the 999 ambulance calltaker about his mum, her condition and their address. Harry also unlocked the door so the paramedics could get in when they arrived. Clare and Czes presented Harry with a bravery award at the Coventry Ambulance Hub on Wednesday 9th April. Harry was accompanied by his mum, other close family members and friends. Harry has previously completed a British Red Cross first-aid course and is keen to carry on gaining knowledge about what to do. He was called into action again late in March this year, when his mum collapsed at home and again he was calm and called 999. Again he received praise from the call handler and ambulance crew who attended to treat Melissa. Photographs, audio highlights of the 999 call recording, and a short video of an interview with Harry are available to accompany this press release. Please visit our Twitter, WordPress or Facebook sites. Picture Left to right; Melissa, Czes, Harry & Clare. Sunday 20th April 2014 – 3.10pm – Chris Kowalik. Three people have been injured in a road traffic collision in north Staffordshire. 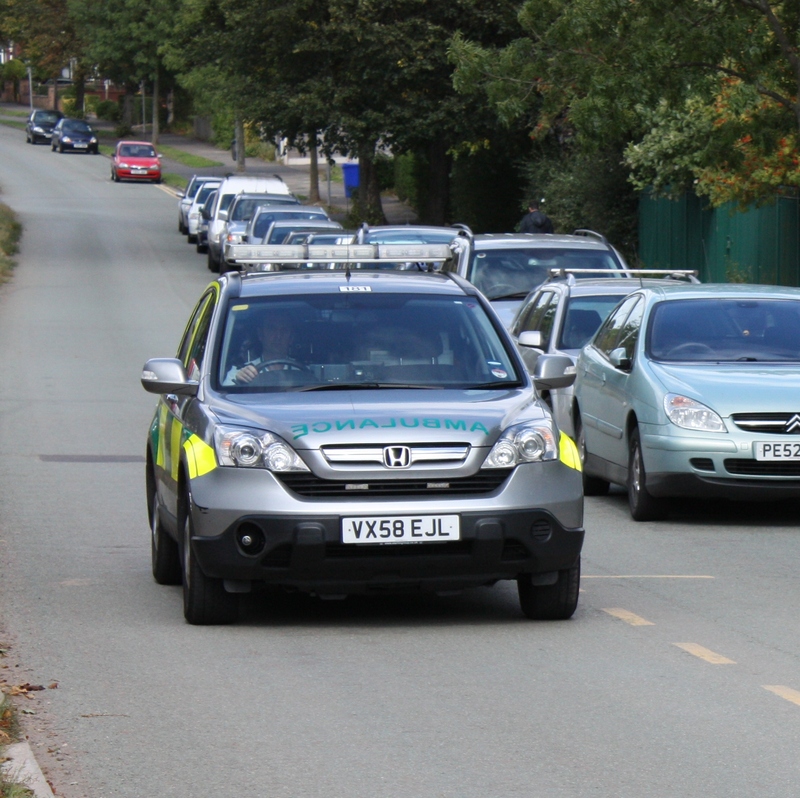 West Midlands Ambulance Service was called to Leek Road, Stockton Brook shortly before 10.55am today. A paramedic in a rapid response vehicle, a BASICS emergency doctor in a rapid response vehicle and a paramedic area support officer in a rapid response vehicle attended along with three ambulance crews. A West Midlands Ambulance Service spokesman said: “One of the drivers, a man in his seventies, had neck and stomach pains. His passenger wife had pains to a shoulder, arm and wrist. “The other driver, a pregnant woman in her thirties had chest and neck pain and was reporting soreness in the abdominal area. “The fire service was on scene to cut off the roofs of both cars. All three people were immobilised and were taken to the University Hospital of North Staffordshire. Sunday 20th April 2014 – 3.05pm – Chris Kowalik. 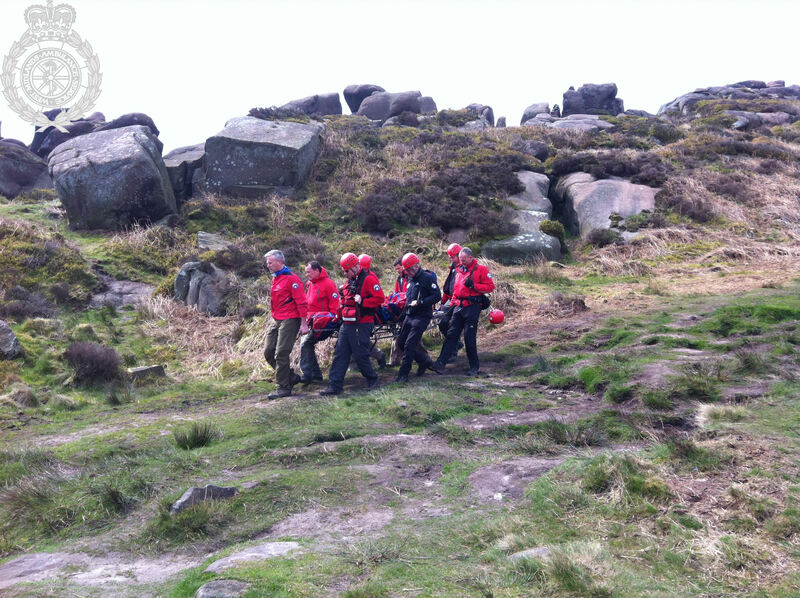 A man has been injured in a fall from a rock he was ‘free-climbing’ in North Staffordshire. 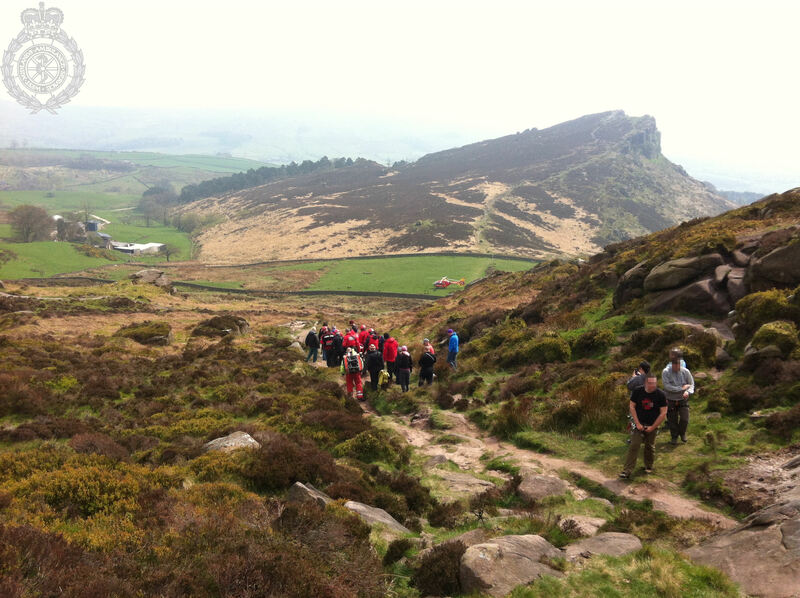 West Midlands Ambulance Service was called to The Roaches shortly before 12.20pm today. A paramedic area support officer and the Midlands Air Ambulance from Staffordshire attended. A West Midlands Ambulance Service spokesman said: “The paramedic area support officer was the first to arrive and was met by a representative of Staffordshire Wildlife Trust who helped identify the exact location of the rock and the conditions of the terrain. “As the paramedic walked up the hill to the rock, the air ambulance arrived but due to the location, further help was needed and Buxton Mountain Rescue was also called in. “Crews were told the man who is in his thirties had been ‘free-climbing’ and had fallen approx. 10 metres. He had a broken collar bone and shoulder injuries. He also had back pain. Saturday 19th April 2014 – 6.30pm – Chris Kowalik. Reports of injuries following a jet-ski incident in Staffordshire were not as serious as first feared. West Midlands Ambulance Service was called to Waterside Road in Stapenhill near the River Trent. An advanced community paramedic in a rapid response vehicle, an ambulance crew and the Midlands Air Ambulance from Staffordshire attended. A West Midlands Ambulance Service spokesman said: “A woman in her twenties had come off her jet-ski and was out of the water when the crews arrived. A cyclist has his helmet to thank for averting a head injury after he came off his bike on Cannock Chase. Crews attending the scene, on the “Monkey Trail” said there was a significant crack to his helmet. Had he not been wearing it, the damage would have been to his head. 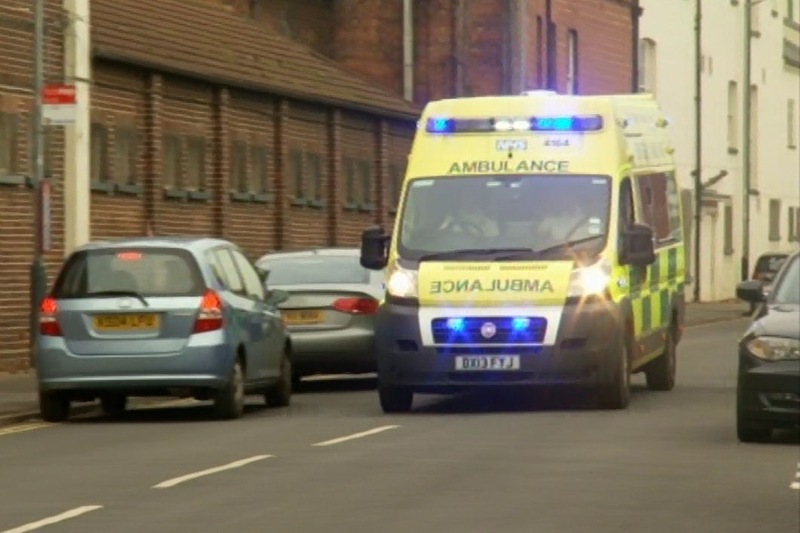 West Midlands Ambulance Service was called shortly after 9am today. Two ambulance crews, the Midlands Air Ambulance from Staffordshire and the Hazardous Area Response Team attended. A West Midlands Ambulance Service spokesman said: “The cyclist, a man in his thirties, had fallen from his bike whilst going downhill. He had shoulder and rib injuries but avoided a head injury because we was wearing a helmet which ended up badly damaged. Had it not been for the helmet, he would have sustained a head injury. Saturday 19th April 2014 – 10.30am – Chris Kowalik. 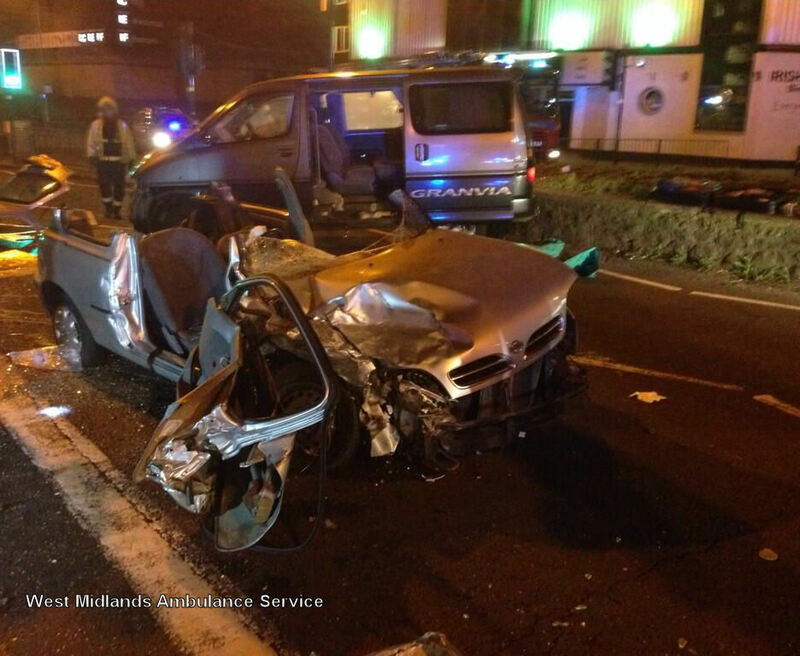 Two people have been injured in a collision involving two cars in Birmingham. West Midlands Ambulance Service was called to High Street, Digbeth shortly before 3am today. A paramedic who was working at West Midlands Ambulance Service’s City Centre Treatment Unit in Broad Street was sent to the scene, along with a paramedic area support officer, the MERIT trauma team and two ambulance crews. A West Midlands Ambulance Service spokesman said: “One of the injured was trapped and was freed with the help of the fire service. He’s in his thirties and had a broken leg and a suspected fractured pelvis. The injuries were treated at the scene by ambulance personnel. He was then taken to Queen Elizabeth Hospital Birmingham. Saturday 19th April 2014 – 10.35am – Chris Kowalik. A man and two women have been injured in a collision involving the car they were in and a bridge in the Black Country. 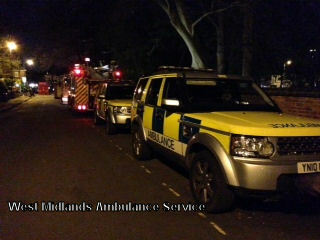 West Midlands Ambulance Service was called to Bromley Lane, Kingswinford shortly before 3.20am today. A paramedic in a rapid response vehicle, a paramedic area support officer in a rapid response vehicle and three ambulances attended. A West Midlands Ambulance Service spokesman said: “A woman who was the car’s front seat passenger had cuts and bruises to her face. A woman in the back seat had bruising. They had to be freed from the vehicle first in order for ambulance staff to be able to reach the driver who was trapped by his legs. “The driver is a man in his twenties and had a broken leg. Friday 18th April 2014 – 8.25pm – Chris Kowalik. A cyclist has died following a collision with a car in Herefordshire. West Midlands Ambulance Service was called to the A4110 at Canon Pyon shortly before 11.40am today. An advanced community paramedic in a rapid response vehicle, a paramedic area support officer in a rapid response vehicle, an ambulance crew and the Midlands Air Ambulances from Strensham and Cosford attended. The cyclist, a man, was confirmed dead at the scene. Friday 18th April 2014 – 11.35am – Chris Kowalik. There was a climb up a hill on foot for ambulance crews last night to get to a fallen mountain biker. The cyclist, a man in his forties was with a group riding on the Clent hills when he fell from his bike in woods and hit a tree. West Midlands Ambulance Service was called shortly before 9.40pm on Thursday 17th April. The call was made by an off-duty paramedic who was part of the cycling group and who immediately began giving basic treatment to the injured man. He was then joined by an advanced community paramedic, a paramedic area support officer, the MERIT trauma team, the Hazardous Area Response Team and an ambulance crew. A West Midlands Ambulance Service spokesman said: “The emergency vehicles could only get as far as Sunfield Children’s Home who had helpfully kept part of their car park clear for us and from where crews had to carry their equipment on foot uphill for about fifteen minutes to get to the cyclist. “The man had banged his head. He had abrasions to his face and hands, and pain to his wrist and back. He was immobilised onto a rescue stretcher for carrying back downhill to the ambulance. He also felt nauseous for which he was given anti-sickness drugs. Thursday 17th April 2014 – 8am – Chris Kowalik. 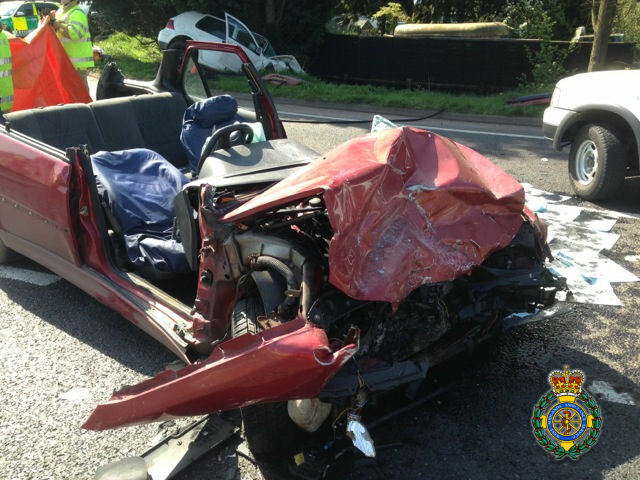 Four people have been injured in a two car collision in Tamworth. West Midlands Ambulance Service was called shortly before 10pm last night (Wednesday) to the collision which happened in Lichfield Road Industrial Estate near the “Gerard” road. A community first responder, a paramedic area support officer and four ambulances attended. A West Midlands Ambulance Service spokesman said: “Two elderly men were in one of the cars involved. They both had chest pains and were taken to Good Hope Hospital. Wednesday 16th April 2014 – 5.30pm – Suzie Fothergill. A man has been rescued from a park after falling from a skateboard in Staffordshire today. West Midlands Ambulance Service was called to the Skate Park at Hanley Forest Park in Birches Head shortly after 3.00pm today. An ambulance, a rapid response vehicle and a paramedic area support officer were dispatched to the scene. The fire service were also in attendance. A West Midlands Ambulance Service spokeswoman said: “Crews arrived to find a man who had become injured whilst skateboarding at the park. “The man, who is believed to have been visiting the park with his family, had fallen approximately 15 feet into a tiered skateboarding bowl and had sustained a knee injury. “Due to the difficult location of the incident the casualty was fully immobilised and brought down to safety, with the assistance of the fire service who used a variety of equipment including ropes and ladders. 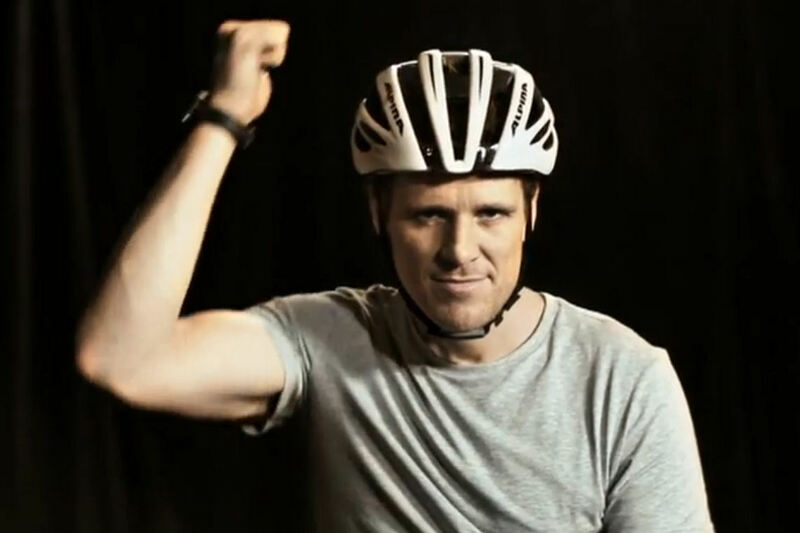 Wednesday 16th April 2014 – 8.25am – Chris Kowalik. 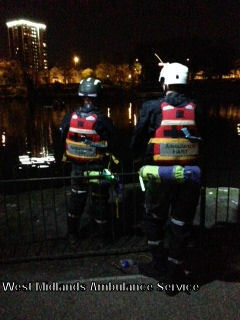 West Midlands Ambulance Service was involved in a search last night for a man reportedly seen to be in difficulty in the lake at Walsall Arboretum. The service was called shortly after 7.35pm on Tuesday 15th April to reports of a man in the water. An advanced community paramedic in a rapid response vehicle, two ambulance crews, the MERIT trauma team consisting of a doctor and a critical care practitioner and the Hazardous Area Response Team attended. West Midlands Fire Service with its water rescue team and West Midlands Police with its helicopter and thermal imaging camera also attended. A West Midlands Ambulance Service spokesman said: “All the emergency teams were involved in a search for the man. Wednesday 16th April 2014 – 8.05am – Chris Kowalik. 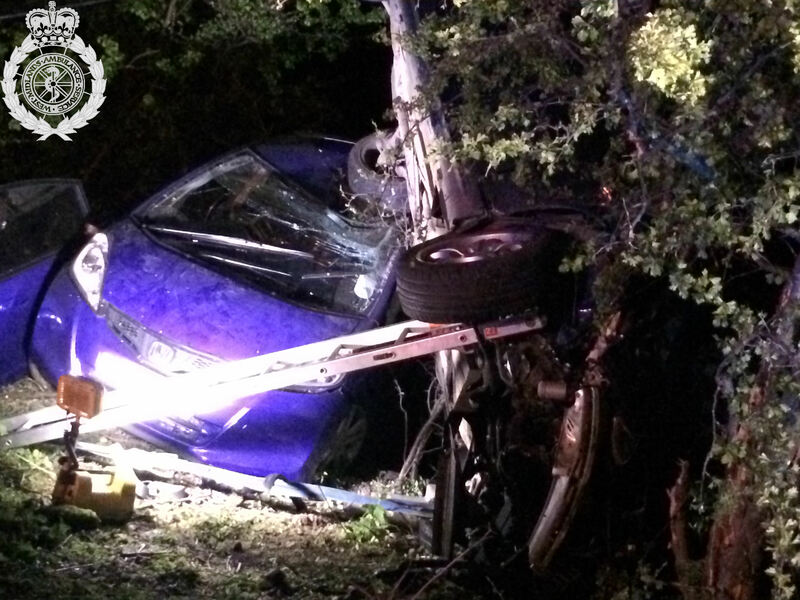 Two cars have collided in Warwickshire and ended up down an embankment with one on its side and on top of the other. West Midlands Ambulance Service was called to the A426 Rugby Road, near The Boat Inn public house, Birdingbury Wharf, Stockton shortly before 9.50pm last night (Tuesday). Three ambulances, an advanced community paramedic, a paramedic area support officer and the MERIT trauma team consisting of a doctor and a critical care practitioner attended. A local off-duty GP gave her assistance. Police and the fire service also attended. A West Midlands Ambulance Service spokesman said: “Both cars left the road and went down an embankment. One ended up on its side, up against a tree and on top of the other. There were two men in their sixties in the car on its side, both of whom got out uninjured. They were both discharged following assessments at the scene. Tuesday 15th April 2014 – 4.45pm – John Hawker. 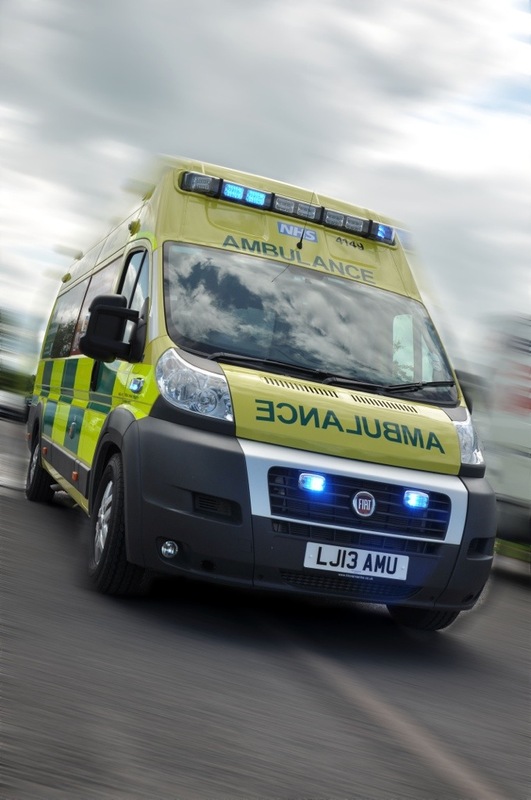 A woman has suffered serious injuries following a serious RTC in Shropshire. 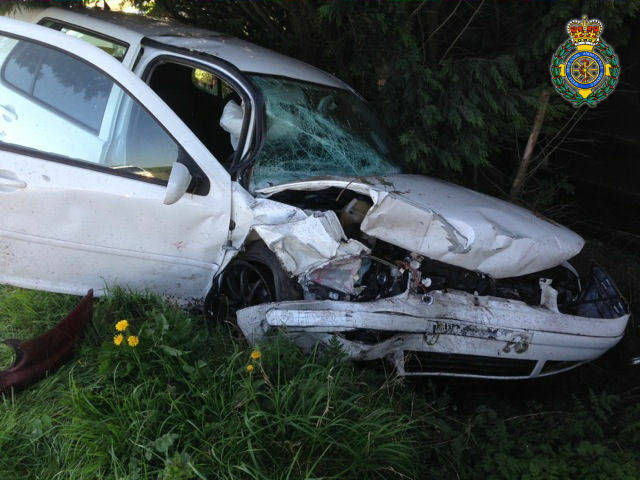 The crash occurred on the A41, near Market Drayton at just before 11.15am. Two ambulances, a paramedic officer, and the Midlands Air Ambulance from Cosford with a Medic on board attended the scene. A West Midlands Ambulance Service spokesman said: “Crews arrived to find two cars that had been in a significant collision. Both vehicles had sustained substantial damage. “The driver of one car, a woman believed to be on her 50’s, suffered serious leg injuries and was trapped in the vehicle. The woman received emergency treatment at the scene, including pain relief and her condition was stabilised. She was then extricated from the car with the assistance of the fire service. She was trapped for around 45 minutes. 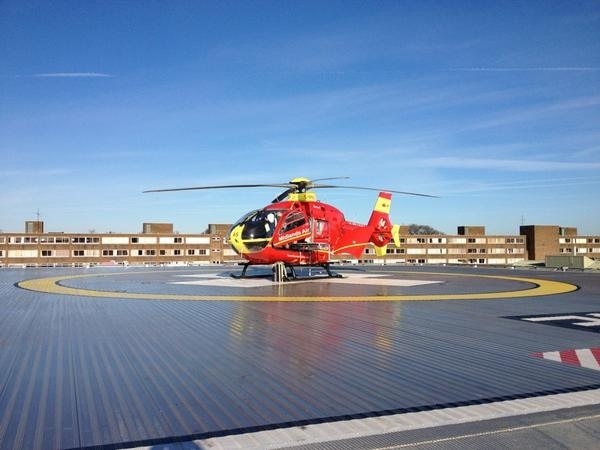 “Once released the woman was airlifted to University Hospital North Staffordshire Major Trauma unit for further assessment and emergency treatment. “Thankfully, the woman’s injuries were not considered life threatening.